BSW are a local central heating company that has been trading since 1962 and specialise in providing boiler repairs in Lewes and throughout Sussex, Kent and Surrey. We were originally a small, family-run business but have since grown into the company we are today, with over 100 employees. Despite our growth the original family values and ethic remain, we provide all of our customers with the best possible service and value for money. We have a huge amount of pride that so many of our customers see our values and view us as both a friendly and reliable local company. Our team of certified engineers carry out boiler installations in Lewes for a range of both private residential and commercial customers. If you are a homeowner or a landlord and you are looking for an efficient boiler replacement service, our expert team will guide you through the process. We also work with developers and architects on multi-site projects, helping to roll out boiler installations across multiple properties. We understand the inconvenience caused by a boiler breaking down, or even worse failing, due to our years’ of experience with boiler repairs in Lewes. Not having a working boiler means that there is no method of warming your home or using hot water for things like showering. For a lot of people these are two of the main elements needed at home and these issues are even worse if the fault happens in the colder winter months. To help with this, BSW are available at all times and ready to help you with any problems that may occur within your boiler or central heating system. BSW has an expert team of Gas Safe boiler engineers who are experienced and qualified to work across all brands of boiler, including Worcester-Bosch and Glow Worm. Our team is able to repair almost any fault that can occur in in your boiler and central heating system. We use our decades’ worth of experience to diagnose the issue and then carry out any repair work needed to the highest possible standard. 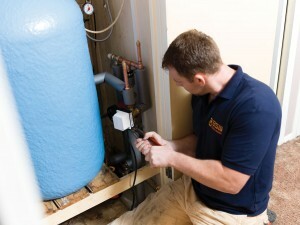 If a repair is not possible we are able to provide boiler replacements in Lewes and its surrounding area. A replacement is often required when an older boiler breaks down or if a boiler has already had a large number of repairs in its past. Whatever the reason for the replacement is, we will work with you to ensure your new boiler is suitable for your home and meets all your requirements. BSW offer a comprehensive range of boiler repair and service plans to maximise the life of your boiler. The average serviceable lifespan of a boiler is between 10 and 15 years and with regular care and attention your boiler can continue to work as efficiently in its later years of service as when it was first installed. We are highly aware of our environmental responsibilities and place great significance on informing our customers about all the options available to them, including renewable energy technology. We are fully qualified under the Microgeneration Certification Scheme (MCS) to supply and install all renewable energy systems. We currently provide Air Source Heat Pumps, Biomass Boilers and Solar PV panels across Sussex, Surrey and Kent. We offer a free, no obligations house visit to all customers. This visit is used to assess your needs and requirements in order to provide you with a full and accurate quotation. If you would like to arrange a free visit or talk about any of our other services, including boiler repair and replacement, please do not hesitate to contact us. You can speak to one of our friendly advisors by calling us on 01444 831138 or by completing the enquiry form below.